Does your dog always seem to disappear into the darkness of the night, leaving you panicked as you search for your canine companion? If so, you have to check out this great offer for a FREE LED dog collar! This FREE pet collar uses LED light illumination to help you keep track on your dark even in when it is pitch black outside. In order to get these FREE dog collars, you must enter the special discount code 15OFF at checkout to receive your FREE LED collar. *Please note, you must pay the $7.95 cost of shipping for every FREE dog collar you order. Do you have a Petco rewards card? If so, you can currently take advantage of this coupon for a FREE 4lb or 5lb bag of Nutro dog food! Petco rewards club members can simply print the coupon out for the FREE dog food and give it to the cashier at checkout. The coupon is valid in stores through Monday, April 24. You can also display the coupon on your mobile phone at checkout to redeem the coupon. If you are not currently a Petco rewards club member, you can sign up for FREE to take advantage of this freebie offer (as well as other discounts and freebie offers)! This awesome freebie for your pets is back again! Right now, you can get a FREE sample of Rachael Ray PEAK dry food for cats or dogs! To get your sample of Rachael Ray cat food or dog food, simply fill out a brief form and submit it. Once you submit your request, expect to receive the freebie in the mail within 8 to 10 weeks. This is a freebie that your pets will like just as much you do! If you hurry, you can claim one of these freebie samples for your pet before the offer disappears. This is a very popular freebie offer that tends to get snatched up quickly. 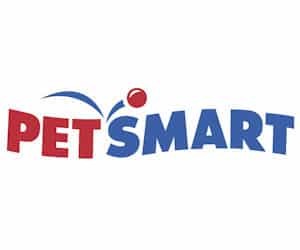 If you own a dog, you may want to visit a Petsmart location near you on Saturday, April 8 between 12:00 PM and 4:00 PM. Throughout the day, Petsmart will be offering FREE photos of your dog with the Easter Bunny! There will be other fun activities and events available for dogs and their owners. Be sure to bring your kids along to participate in all the fun! Let’s be honest, just watching dogs ‘pose’ with the Easter Bunny will be entertainment enough and good for a least a few laughs! 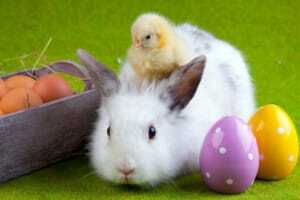 Be sure to check in advance to ensure that your local Petsmart is participating in this fun, FREE Easter event. Your Pooch Or Feline Friend Will Love You For Signing Up For This FREEBIE! 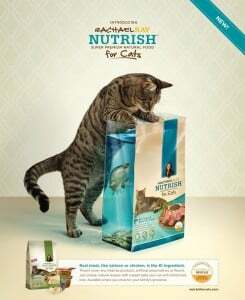 If you own a dog or a cat, you will definitely want to check out this freebie offer from Rachael Ray’s Nutrish line of pet foods. Right now, you can request a FREE sample of indoor complete dry cat food or PEAK dry food for dogs. While you are on the Nutrish website, you can also print out money saving coupons for a variety of Rachael Ray’s pet food products. If you want to receive a FREE sample of Nutrish pet food, you will want to submit your request as soon as possible. These particular freebies tend to disappear quickly! FREE Dog Days Events At Your Local Bass Pro Shop! Is your pooch a beloved member of your family? If so, why not include them in a fun, FREE, family-friendly event at your local Bass Pro Shop! 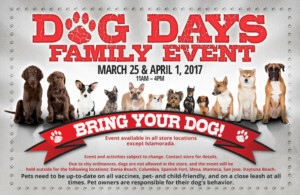 On Saturday, March 25 and Saturday, April 1 you can take your dog and your family to the Dog Days event! The event lasts from 11:00 AM until 4:00 PM both dates and is completely FREE. When you attend this event, you will get a FREE photo print with your dog, a FREE dog toy, lots of helpful info from local vets and groomers, and much, much more! Your pup can even take part in the pet costume parade! If your pet is the winner, you will receive a $20.00 gift card to Bass Pro shops. FREE Formulas For Life Dog Food Sample Offer! Is your pooch tired of eating the same old boring dog food? If so, be sure to check out this special offer from Formulas For Life! This is a new dog food brand that will be hitting the pet food shelves in May 2017. Right now, you can request a FREE pet food sample for your pup! All you have to do is complete a brief sample request form. Please note, this offer is limited to one per household. Get your freebie sample from Formulas For Life before the freebie samples run out! Trust us, your pooch will thank you for this sample! Get Your Pet’s Photo Taken With Santa For FREE- A Truly Sweet Offer! If your pet is like another member of the family, why not include them in the holiday festivities? PetSmart is making it easy for your beloved pets to get into the holiday spirit with FREE pet photos with Santa. This offer will be available on both Saturday, December 10 and Sunday, December 11. Santa will be ready to take photos with pets beginning at 12:00 PM. Santa photos will continue up until 4:00 PM both days. You can dress your pet up in a snazzy holiday outfit (perhaps an ugly Christmas dog sweater or maybe some antlers?) Or, your pet can go completely au natural! Santa does not care either way! Just bring your pet for a sweet in whatever he or she is most comfortable in for FREE photo with Santa himself. Dogs and cats are welcome. You should be allowed to bring along other house pets for Santa photos if you would like! If you have children, be sure to bring them along too. They can get in the photo with your pets! That would make a great Christmas card photo! You can contact a PetSmart near you to find out more information this offer for a FREE pet photo with Santa.